Orange chicken. I usually think of Chinese food when I think of orange chicken — like sweet and sour orange chicken. Hmmm … haven’t had any in awhile. 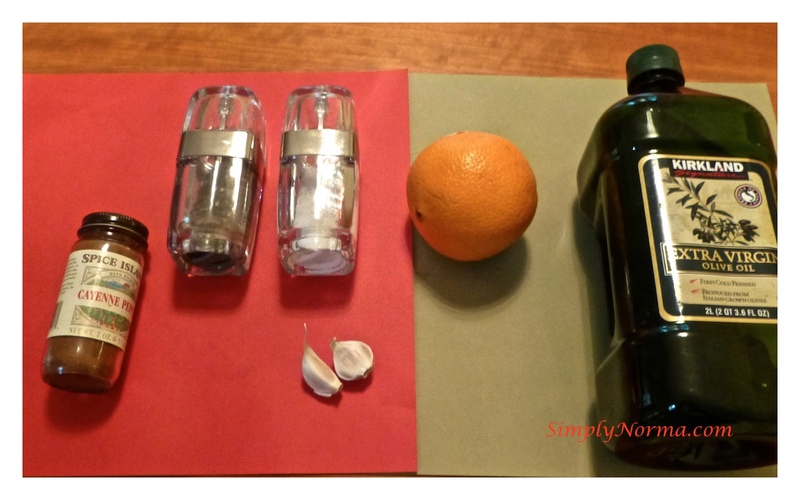 I found this recipe on The Chew — an ABC food show that I sometimes watch. It came out pretty good so I’d recommend you try it. 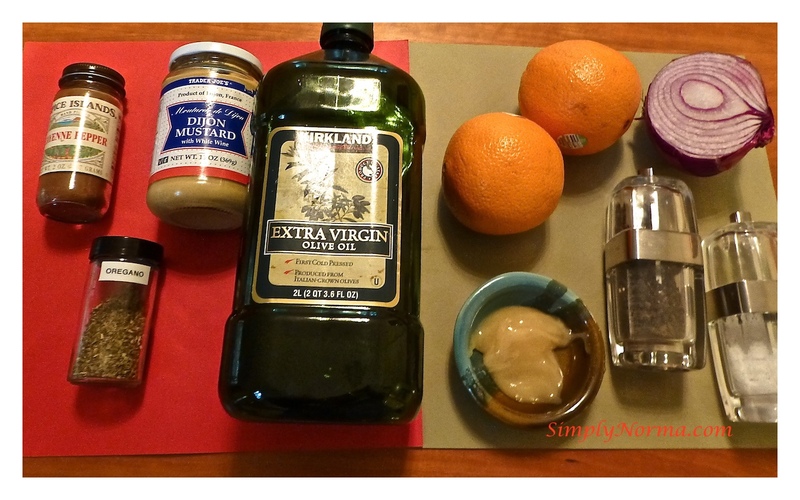 And the ingredients for the dressing/salad that goes along with it … You’ll, of course, need romaine lettuce for this recipe which is not shown in the picture. 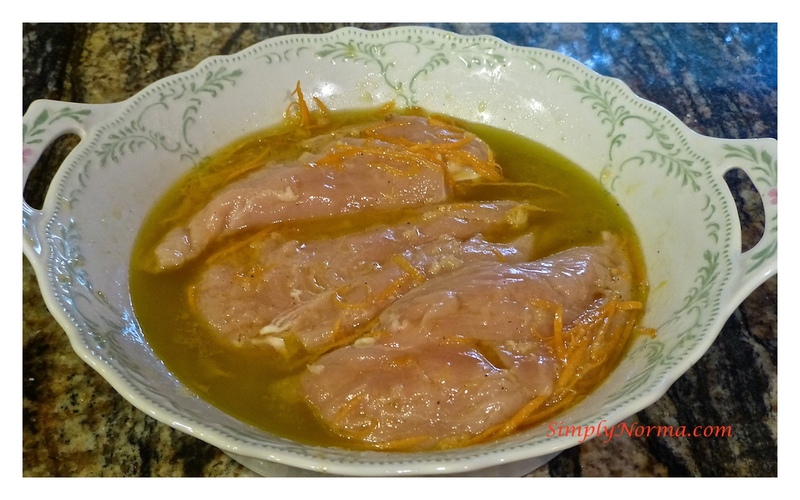 You’ll be putting the marinade ingredients in a large bowl that can also accommodate the chicken breasts. I deviated from the original recipe which says to remove the chicken from the marinade and then grill it. I cooked the chicken on the stovetop — Minnesota weather is just too cold right now to grill outdoors. The rest … well, the rest is below. Just a few pictures to show you how easy it will be (no pictures of the salad since that too is quite simple). Whisk together the marinade ingredients in a rimmed baking dish. Add the chicken and turn it to coat it in the marinade. Meanwhile, put a large skillet on the stovetop on medium low heat. 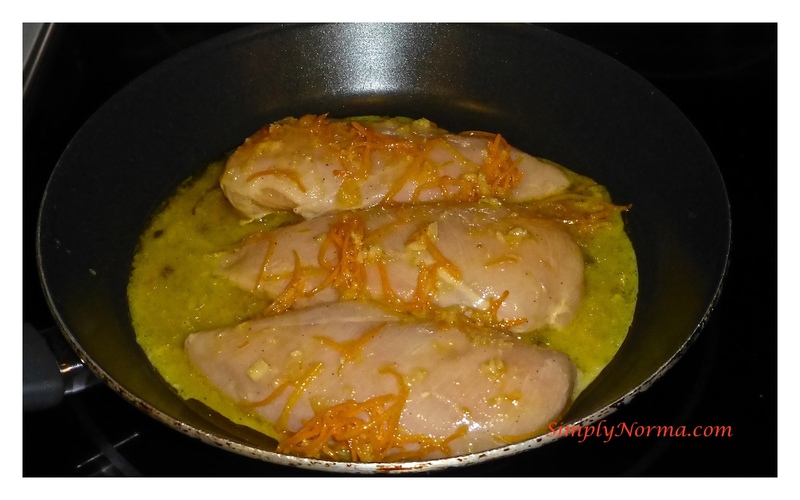 Add the chicken and the marinade to the skillet. Cook the chicken for 7 minutes or so on one side then flip it over and cook it on the other side. While the chicken is cooking, start the salad (see directions below). Use a meat thermometer to test the temperature of the chicken for doneness — it should register 160 degrees when its fully cooked. 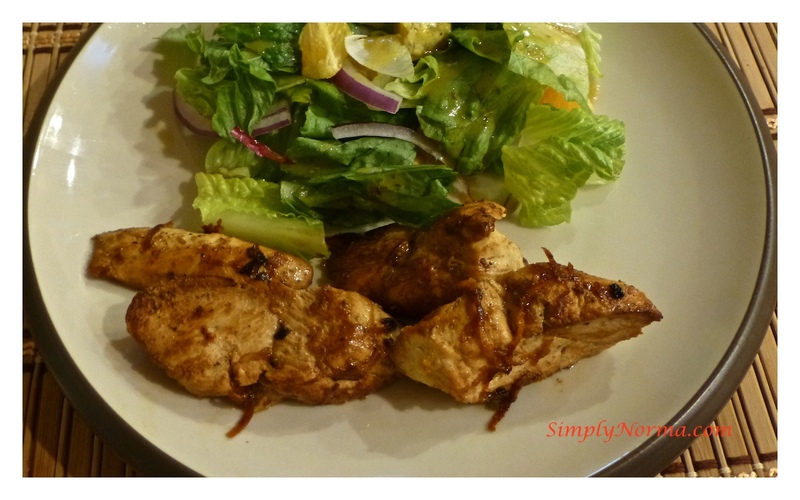 Remove the chicken and serve with the Orange and Romaine Salad. 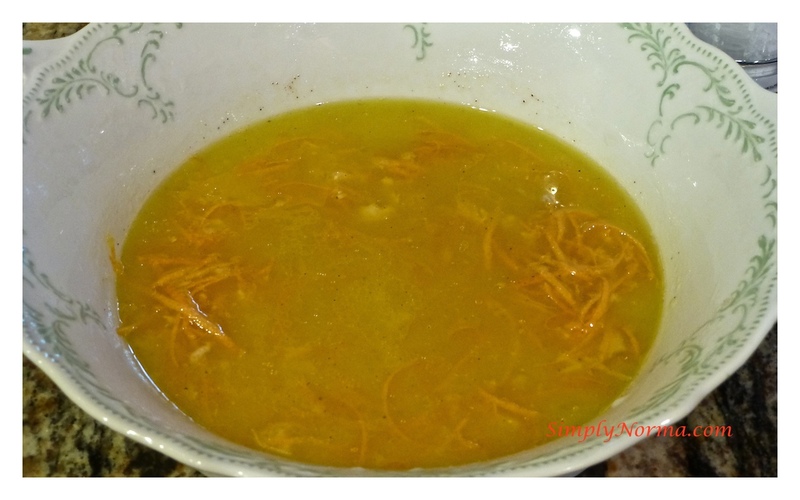 In a large bowl, whisk together the orange juice, Dijon, oregano, honey and olive oil. Season with cayenne, salt and pepper. Toss the remaining ingredients together the with the dressing. Add only a tad of cayenne pepper — unless you like your food spicy, then add as much as you like. And that, my friends, is pretty much it. Hope you enjoy it as much as we did.